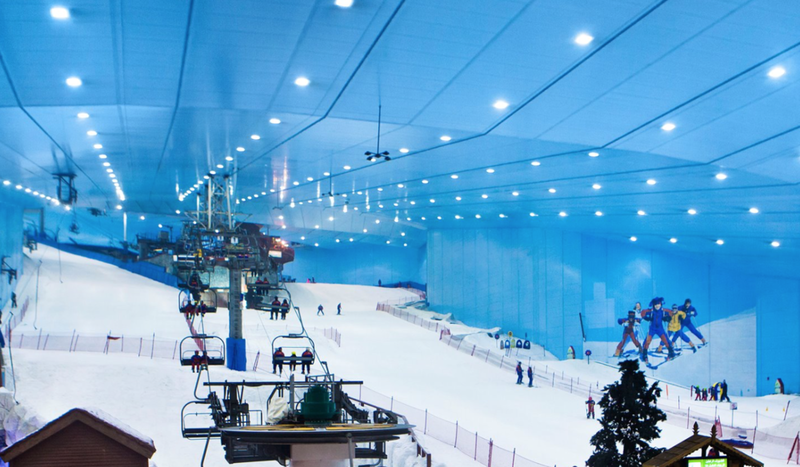 Known as the most exotic indoor ski resort, Ski Dubai has 22,500 square meters of indoor terrain. It is a part of the Mall of the Emirates, one of the largest shopping malls in the world, located in Dubai, United Arab Emirates. 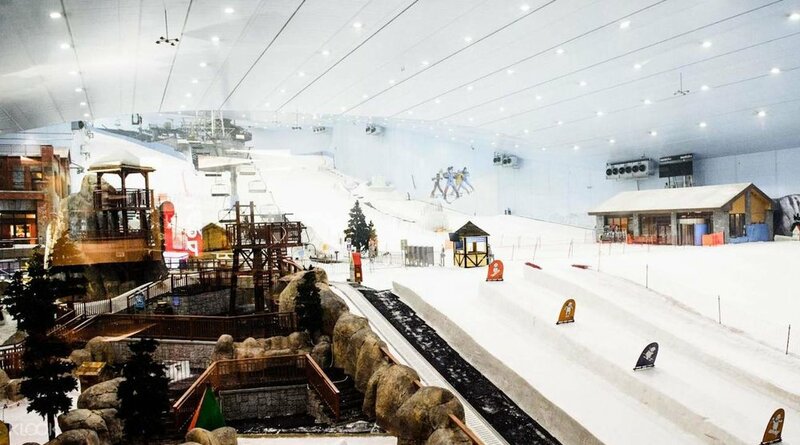 Opened in November 2005, the resort features an 85-meter-high indoor mountain with 5 slopes of varying steepness and difficulty, including a 400-meter-long run, the world's first indoor black diamond run, and various features including boxes, rails, and jumps that are changed on a regular basis. A quad lift and a tow lift carry skiers and snowboarders up the mountain. 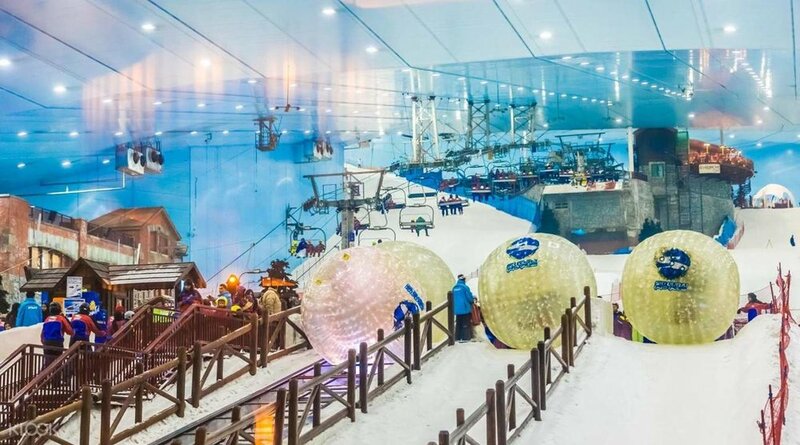 Adjoining the slopes is a 3,000-square-meter Snow Park play area comprised of sled and toboggan runs, an icy slide, climbing towers, giant snowballs and an ice cave. Ski Dubai also houses a number of penguins who you can see roaming about during the day.